TAMPA, FL, FEBRUARY 2015 | The Florida Museum of Photographic Arts (FMoPA) is seeking entries for the 2015 International Photography Contest. FMoPA has put out a call to photographers to participate in a photography competition. Winners are selected by a jury knowledgeable of art and photography. Winning submissions will be notified by May 1st. The top entries will be exhibited at FMoPA from June 5th – July 31st. There will be an opening reception at FMoPA June 5th from 6:00 – 8:00 PM. Categories include People/Portraits, Places/Landscape, Nature/Science/Animals, Documentation/Photojournalism, Still Life, Abstract Photography, and Conceptual Photography. Each category will have three winners selected for first, second, and third place. One submission will be awarded Best in Competition. Finally, one submission will be awarded People’s Choice and is determined by public votes on the competition website. Best in Competition will receive goods and services valuing $1,000, be considered for public art exhibition on a billboard, be part of a group exhibition at FMoPA, and taken into consideration for a solo exhibition at FMoPA. For winning submissions in each category, First Place winners will receive goods and services valuing $100, be considered for public art exhibition on a billboard, and be part of a group exhibition at FMoPA. Second Place winners will be considered for public art exhibition on a billboard and be part of a group exhibition at FMoPA. Third Place winners will be considered for public art exhibition on a billboard and be part of a group exhibition at FMoPA. The People’s Choice winner will be part of a group exhibition at FMoPA. Winners will be selected by a panel of judges. Images will be judged on originality, technical excellence, composition, overall impact, artistic merit, and as otherwise determined by the judges. For each category, three winners will be selected. An overall winner will be selected from all submitted photographs. Each winning submission will be printed for exhibition in the FMoPA Community Gallery. Winning submissions are granted permission for full use by FMoPA including the sale of the work, use of the work for promotional purposes, and/or use of the work for marketing. Entries must be submitted online at http://mulabula.com/splash/fmopa.html. All entries must be received by 5:00 PM on April 5th. Non-refundable entry fees are $10. Multiple submissions are permitted. For additional information, visit the competition website: http://mulabula.com/splash/fmopa.html. Best in Competition will receive goods and services valuing $1,000, be considered for public art exhibition on a billboard, be part of a group exhibition at FMoPA, and taken into consideration for a solo exhibition at FMoPA. For winning submissions in each category, First Place winners will receive goods and services valuing $100, be considered for public art exhibition on a billboard, and be part of a group exhibition at FMoPA. Second Place winners will be considered for public art exhibition on a billboard and be part of a group exhibition at FMoPA. Third Place winners will be considered for public art exhibition on a billboard and be part of a group exhibition at FMoPA. The People’s Choice winner will be part of a group exhibition at FMoPA. ELIGIBILITY: Worldwide Not eligible to enter? - Find contest where you are. •	The International Photography Competition (the "Contest") is provided by the Florida Museum of Photographic Arts, Inc. ("FMoPA" www.fmopa.org) so that photographers may compete for the stated prizes. •	Registration fee is $10 per submission. Multiple submissions permitted. •	To submit a photograph to the contest, you must be of legal age or acting with the approval of your parent or guardian who is of legal age. •	You or your parent/guardian (“You”) also promise that the photograph and its subject (people, places, or objects) are not copyrighted or owned by anyone else and that you have full permission to use the photograph in this contest and to assign the rights of use as contained in the rules of this contest. •	You will protect, defend, hold harmless and indemnify FMoPA, this contest site, the contest site company (MulaBula, LLC) from any actions, accusations, or legal costs as a result of your entering this contest. 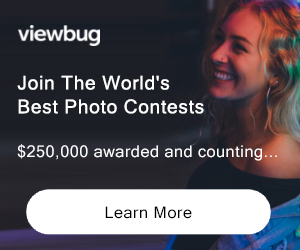 •	Your photographs remain “your photographs,” however, by entering them in the contest you agree that FMoPA and/or the contest site may display them in the contest, use them as example entries in marketing future contests, and use them in other museum related purposes. •	The Contest is open to ALL photographers at least 18 years of age, or under 18 with the consent of their parent/guardian, except employees of FMoPA and the immediate families of such employees. The Contest is open to all participants regardless of residence or citizenship, so long as the laws of their jurisdiction allow participation. USAGE RIGHTS: Your photographs help FMoPA perform its mission. Thank you for helping! •	Publish the images for FMoPA’s purposes in any format, including on FMoPA’s website, social media platforms, and in FMoPA’s publications or presentations, such as newsletters, brochures, fundraising appeals, public service announcements, grant proposals, reports, awards, thank-you cards, displays, mailings, invitations, and any other uses for museum related purposes as determined by FMoPA in its sole and absolute discretion. •	Provide images to other individuals and organizations for FMoPA-related use in news stories, newsletters, marketing support, reports, slide shows, displays, web pages, and otherwise. This includes the contest site provider, MulaBula.com. •	Use, in connection with your submission, your name, city, state, and country of residence. •	Archive the electronic files for FMoPA related use.